Ten New South Wales startups will have an exciting opportunity to meet with world-leading innovation experts in Tel Aviv, Israel, one of the most advanced innovation hubs in the world. 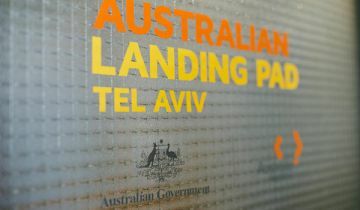 Federal Trade, Tourism and Investment Minister Steven Ciobo, and NSW Minister for Innovation Matt Kean are calling for Artificial Intelligence and Machine Learning startups to apply for the intensive, 10-day program at Austrade’s Israel Landing Pad this July as part of a joint Austrade and NSW Government program. 'The Turnbull Coalition Government recognises the importance of innovation to Australia’s economic growth, that’s why we’ve established the Landing Pad program as part of the National Innovation and Science Agenda,' Mr Ciobo said. 'Our Landing Pads in Berlin, Tel Aviv, San Francisco, Shanghai and Singapore have already helped connect dozens of Australian startups with big investors, and advised how to scale up their business in a competitive global environment,' he said. Mr Kean said the government remains focused on ensuring NSW is the startup capital of Australia, and the Israel trip is a fantastic opportunity to showcase home-grown talent on a global stage. 'I’m proud to say that NSW is Australia’s home of innovation, and continues to attract companies that are creating the next generation of jobs and businesses,' Mr Kean said. 'Israel is continuing to prove itself as a global leader in innovation, so the knowledge our startups bring home will be absolutely invaluable to their businesses, and our local economy. The program includes an introduction to the Israeli startup environment, engagement with local AI startups and founders who have successfully expanded in the global market, and networking opportunities with the local community. Applications close on Monday 11 June 2018.